We’ve got some very good news to share with all of our Gameplayer-Casinos fans and followers. For the month of March 2018, we have partnered with our good friends over at Jetbull Casino to bring you an Exclusive Bloodsuckers 2 No Deposit Free Spins offer for all new players. If you have yet to sign up for an account at Jetbull, now is your time to give it a try. 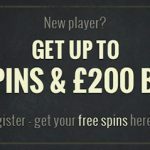 New players can sign up to receive 15 Exclusive Bloodsuckers 2 No Deposit Free Spins on registration. Furthermore, if you make your first deposit, you can also get a bonus of 100% up to €200 + 50 NetEnt Free Spins on any slot! This offer is a time limited one, so hurry on over to claim your freebies. The promotional offers mentioned below run until the 5th of April 2018 at 23:59 (GMT). 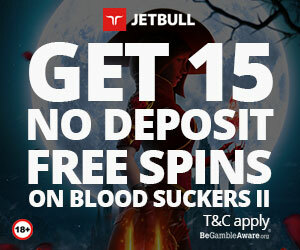 Sign up for a Jetbull Casino account using our special links to get your 15 No Deposit Free Spins on the Bloodsuckers 2 Slot. Once your account has been verified, log in and open up the Bloodsuckers 2 slot to get your free spins. Note: If your No Deposit Free Spins are not activated, please log out and log into your account again. 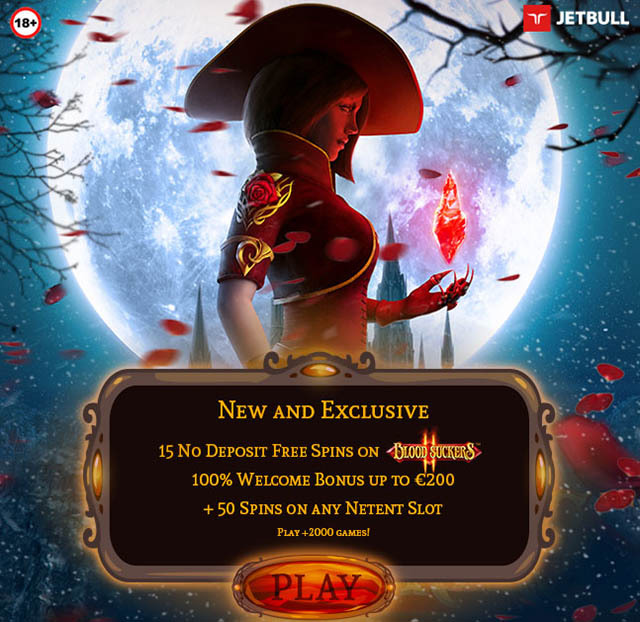 Make your first deposit of at least €20 at Jetbull Casino to claim your 100% bonus up to €200 + 50 NetEnt Free Spins. Your Free Spins are available on any NetEnt slot that you like! Each player may only receive one bonus per person, household, IP address, or email address. Restricted players: Spain, Turkey, Hungary, Iran, Israel, Lebanon, Netherlands and Dutch Territories, Armenia, Australia, Belarus, Belgium, Czech Republic, Germany (restricted for sports only), Norway, North Korea, Portugal, Romania, Slovakia, USA and US Territories, France and French Territories, and Ukraine. The wagering requirement for any Free Spins winnings is 30 times. The wagering requirement for the Welcome bonus is 30x (deposit + bonus). Free Spins winnings are capped at €100 and all wagering must be met before a withdrawal can be made. The promotional offers mentioned here run until the 5th of April 2018 at 23:59 (GMT). 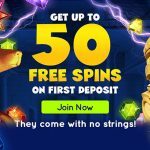 Slot Planet Casino No Deposit Free Spins and No Deposit Bonus – Get your 10 Free Spins & €10 Free today! Posted in Jetbull Casino and tagged march 2018 offers, No Deposit Free Spins. 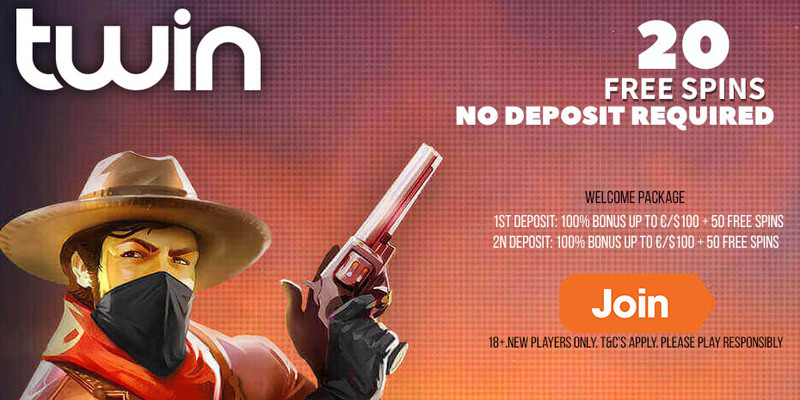 ← Updated SpinJuju Welcome offer: 100% up to €/$100 & collect Juju Points for wager free spins!